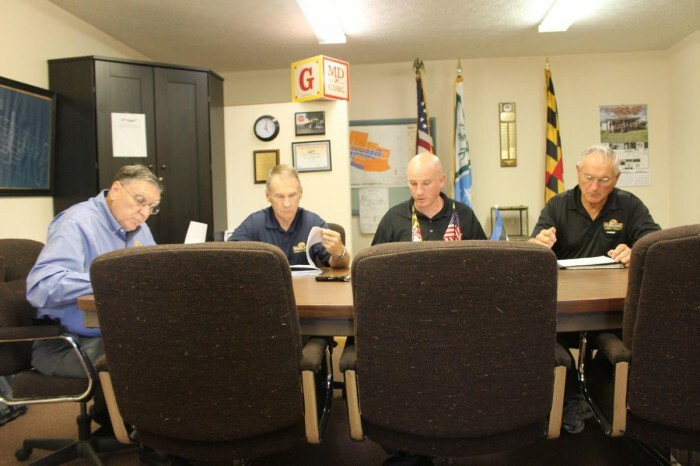 The Garrett County commissioners awarded a bid for the Hoyes Run electrical distribution site during their public meeting Monday afternoon in Grantsville. He noted the county had agreed, in the early stages of NLP’s development of Wisp Resort, to provide electricity to the distribution site. He said the Purchasing Department received four bids for the electrical distribution site work: Byco Enterprises, $226,298.20; Carl Belt Inc., $312,020; Beitzel Excavating, $316,228; and Beitzel Corporation, $439,364.60. “After reviewing the bids, the Purchasing Department is recommending that we award the bid to the apparent low bidder, which is Byco Enterprises,” Null said. The commissioners agreed with the recommendation and awarded the bid to that company. Also Monday, the commissioners made appointments to three local boards. They approved the Garrett County Local Management Board’s recommendation to appoint Kaitlyn Fike as a member. The commissioners also approved the Garrett County Commission for Women’s request to reappoint Linda Carr and Sherry Fredlock to another three-year term. Null noted women’s commission members may only serve two terms. The women’s commission also asked that Rachel Bruch be appointed to fill a vacancy. The commissioners approved her appointment to the Garrett County Commission for Women. Null noted there were also two openings on the Garrett Regional Medical Center Board of Governors. “There are for commissioner appointees,” he explained. Commissioner Jim Hinebaugh appointed Karen Myers, and Commissioner Paul Edwards appointed Kevin Liller. Null said he would inform the GRMC board about the appointments. The commissioners’ next public meeting is scheduled for Monday, Oct. 1, at 4 p.m. at the courthouse in Oakland.